CVS is committed to delivering traditional pharmacy services while delivering innovative healthcare and related services. CVS is the largest pharmacy in the United States and serves people with clinical as well as pharmaceutical care. There are over 243,000 people who work at CVS in the United States, Puerto Rico, and Brazil. CVS has retail clinics, infusion services, pharmacy care, benefits management, clinics, and clinical programs. To begin completing a CVS job application, the applicant should look at CVS careers and choose the job that fits with their skill set and interests. 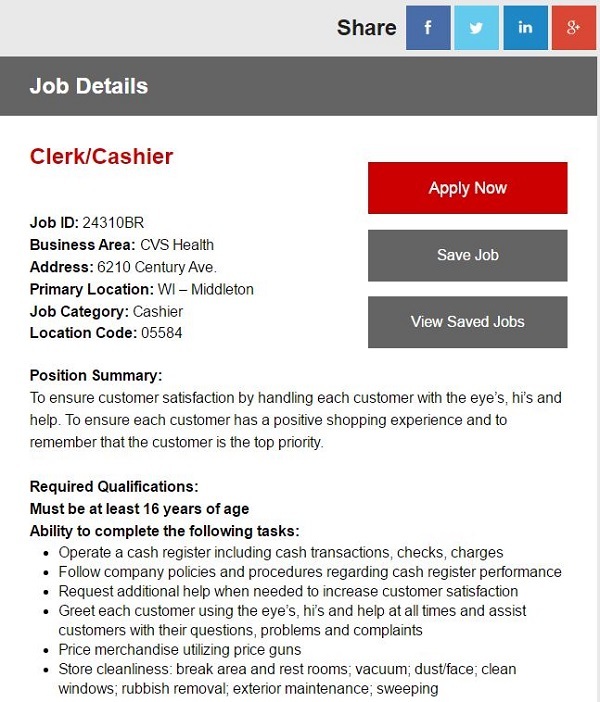 CVS values diversity in its’ employees. There are several job categories that CVS employs.The reader will learn about how to complete a CVS job application, the different job opportunities CVS offers, possible interview questions that might be asked in a CVS job interview, and some general information about the company. CVS offers careers in analytics, corporate, distribution, nursing, pharmacist, pharmacy technicians, or in retail. In addition, CVS participates in LinkedIn job matching and advertises internal positions separately. There is a career newsletter that CVS maintains that gives the latest information on developments within the company and provides job updates to interested candidates. There is an internship program at CVS. There are internships for college students interested in corporate or retail store leadership positions. The internships allow for practical experiences and real-world learning. An advantage of working at CVS is that they offer relocation opportunities to different corporate locations. There are currently 1,735 job openings at CVS at all levels of job. A candidate is able to refine their search based on multiple categories. The first step in completing a CVS job application is to go to the Career tab under the CVS employment page. This allows for searching a job four different ways. These options for searching for a CVS career are to do an advanced job search, to search for internal positions, to participate in LinkedIn matching, and for previously saved jobs. Someone who is new to searching for CVS careers should go to the advanced job search and click on the button that lets them learn more about the CVS job application process. Through this, the applicant is able to watch two videos that talk about leadership at CVS and what it is like to work at CVS. The company was ranked the 47th most valuable brand by Forbes and the third most innovative company by Fast Company. CVS also lives out their values of social responsibility and diversity by being ranked for being a corporate citizen and being committed to diversity in the workforce. In the advanced job search, the applicant can search by keyword, job ID, category, job type, if a license is required, and by geographic location. In the initial search results, the applicant can see the title of the job and the location. When a position is clicked on the description of the job, requirements, and working hours are specified. In addition, the position can be shared via various social media channels such as Facebook, Twitter, LinkedIn, and Google. The applicant can choose to apply for the job now, apply for the job later, or save the job. Applying for the job later stores the job temporarily while applying for the job now while saving for the job stores it in your job account. An interested applicant can also fill out their job notification information with contact information and the category and location of the job they are interested in. 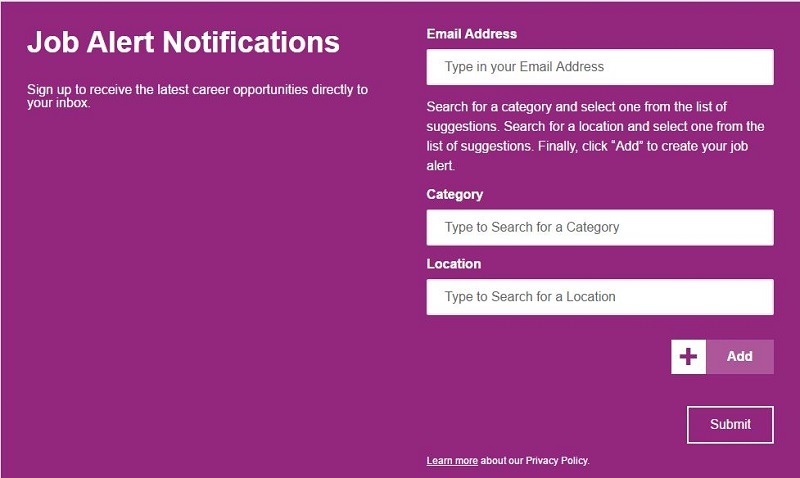 When there is a match, the notification system sends an email alerting the applicant to a potential employment opportunity. CVS is typically thought of as a pharmacy with a small selection of groceries. Many of the jobs revolve around healthcare, but there are important jobs that are not related to the pharmacy side of CVS. This section will summarize five jobs that can currently be searched for when conducting a CVS job application search. CVS offers MinuteClinic which provides retail healthcare. The nurse practitioner at CVS will work within the MinuteClinic to provide patient care. Administer vaccination and follow-up on care with patient contact after the appointment. Keep organized records of patient care and make sure patients are referred to the necessary follow-up appointments. Be knowledgeable in computer programs that are needed for recording medical care. Complete necessary tasks related to patient billing. The requirements for a nurse practitioner who works at the MinuteClinic are to have National Board Certification, licensing as an Advanced Practice Nurse, excellent communication and interpersonal skills, and to be passionate about working for the MinuteClinic. The education required is a master’s degree in a nurse practitioner program. The expected salary for the nurse practitioner is $105,882 dollars with a cash bonus of up to $24,000. The benefits for this position are competitive pay, a matching 401(k) plan, tuition reimbursement, and continuing education training. The work schedule for a nurse practitioner is flexible based on their availability. A normal schedule is working anywhere from 20-40 hours a week. The nurse practitioner may be expected to travel to nearby MinuteClinics depending on staffing needs. In charge of making sure that customers select the right cosmetics for them, beauty consultants also make offer customers advice on their skin type and suitable shades. Run the beauty department and make sure customers have a great experience. Provide personalized recommendations based on customer needs and budgets for what make-up and other beauty essentials will work for them. Create displays and aisle ends that give an appealing feel to the beauty department. Approach customers with a cold call approach and make them interested in the beauty products that are being sold. The ideal beauty consultant will have the desire to stay current on knowledge in the beauty industry and be able to greatly exceed sales expectations. It is required that the beauty consultant is 18 years old, has good organizational skills, and can be an excellent salesperson. A high school diploma is required. The average hourly wage for a beauty consultant at CVS is $12.88 an hour. It is not clear from the job description if this is a full or part-time position. According to information from Glassdoor, part-time employees do not receive many benefits while full-time employees receive a good benefits package. All employees receive 30% off CVS products while they are not on sale. The beauty consultant is expected to work a flexible schedule including mornings, evenings, weekends, and holidays. This is typically a part-time position working anywhere from 20-40 hours a week. This individual works in a call center handling customer queries about the pharmacy. Ability to keep calm when someone is complaining about an issue with their prescription at CVS. Ability to balance multiple computer tasks including answering phone calls, recording notes about the situation, and communicating if the situation is resolved. Knowledge of CVS procedures to provide customers with the right information. Have clear enunciation on the phone. The pharmacy customer service agent must have the ability to use computer programs, to answer the phone professionally, to complete a pharmacy competency exam, and to be licensed as a pharmacy technician in Rhode Island. Preferred qualifications are to be nationally certified through the PTCB and have previous experience in a pharmacy and in a call center. A high school degree is required. The pay for a customer service agent in a call center is $11/hour while the annual salary is $21,891 dollars. The benefits expected are healthcare, matching 401(k), free care at the MinuteClinic for preventive services, the ability to purchase stock, disability insurance, employee assistance program and education benefits such as tuition reimbursement. This is a full-time position. In CVS call centers the hours are from 7:30 AM to 7:30 PM Monday thru Friday. Two closing shifts of 11:00 AM to 7:30 PM are expected per week. The right person for this position is passionate about teaching and about healthcare. They will create training modules for their colleagues. Help to develop learning materials to teach standardized curriculum for CVS. Report to the head FTM for what and when to train colleagues. Create a hybrid learning experience that is connected so people can improve their skills. Assess training to see what was successful and what can be improved. The job requirements for this position are to have excellent communication and teaching skills. It is preferred that this candidate is a licensed pharmacy technician and has a college degree. The hourly wage for a field colleague trainer is $12-$15 dollars an hour. This is a full-time position with the range of benefits offered for the customer service agent listed above. This is a full-time position so a schedule of 40 hours a week is expected. In addition, travel is required in this position to train team members in various regions. Cashiers have a very important job at CVS. They help to make sure that customers orders are correct and leave the final impression that these customers have of CVS. Accurately complete transactions with a variety of pay methods from cash to government assistance. Willing to ask for help with transactions. Keep the checkout area clean and stocked. Make sure that signage in the store is displayed correctly and prices match the advertised description. Cashiers need to be 16 years old, If they are older than high school age, then cashiers need to have their high school diploma. It is preferred that cashiers have previous retail experience. A cashier at CVS can expect to make approximately $9.00 an hour. A small bonus is occasionally received. The annual compensation for cashiers averages $18,212 dollars. Benefits for this position will vary depending on if it is full or part-time. A cashier will typically work part-time but occasionally this position will be full-time. As the cashier advances in their career, they can expect additional benefits. All cashiers receive 30% off of CVS products. CVS is committed to being innovative while keeping all team members current on company policy and training. Answering CVS job interview questions in a way that is consistent with the culture of CVS is an important step in the interview process. In addition to being aware of possible interview questions the applicant should learn about the culture and values of CVS. Q: How do you define care? A: CVS is committed to care at all levels from health care to customer service career. I define care as being willing and able to help people whenever they need help if it is something I can be an asset in. I carry this value to my professional and volunteer careers. Caring is a characteristic that infiltrates all areas of my life. I care for my professional appearance, personal hygiene, work space, and will carry that through to the customers and patients who trust in CVS. A: I believe that my college courses prepared me to think critically, problem solve, write persuasively, and work as part of a team. These skills transcend content and make up the foundation of what I consider to be essential characteristics of a successful sales associate. A: When I was searching other companies for internships in healthcare related fields, I was drawn to the information and consistency of your website. The values and mission of CVS were very obvious through all parts of the website and the design of the website was appealing and trustworthy. This invited me to investigate and learn more about the company. Through this, I found that my values and desires in life seemed like a good fit for a position with CVS and decided to apply to intern here. While hours for different CVS stores may vary slightly, especially if they do or do not have a MinuteClinic the general hours are 8 AM to 9 PM Monday through Saturday and 9 AM to 7 PM on Sunday. 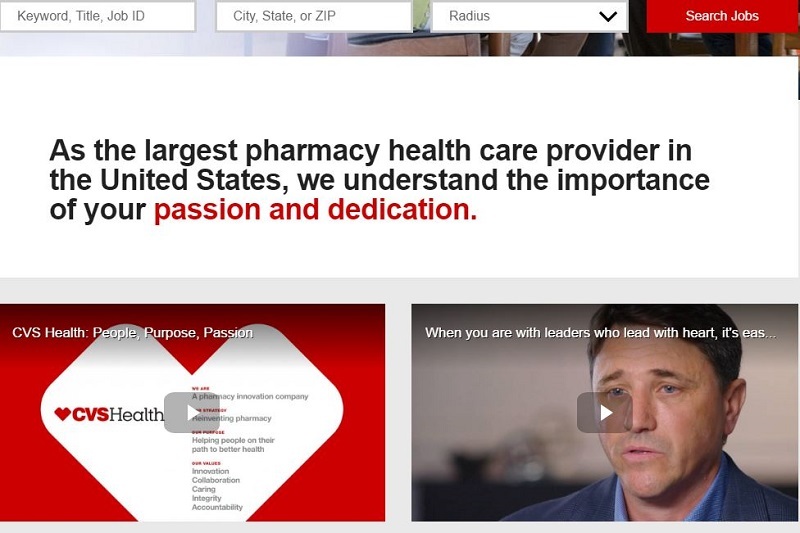 The main website for CVS is www.cvshealth.com. This page should be used to contact CVS generally. Within this page, someone could contact multiple different units within CVS including a contact for people interested in careers. CVS is an exciting place to work and offers jobs for many different skill sets.